Further inland you'll find hill top towns with lots of culture, and these towns welcome visitors with home-cooked cuisine - offering rustic retreats ideal for rest and relaxation. A villa in Croatia is ideal, whether you're looking for a relaxing beach holiday, or wish to take-in some culture and history. Staying in a villa gives you the best opportunity to get out and explore the best of Croatia during your holiday. 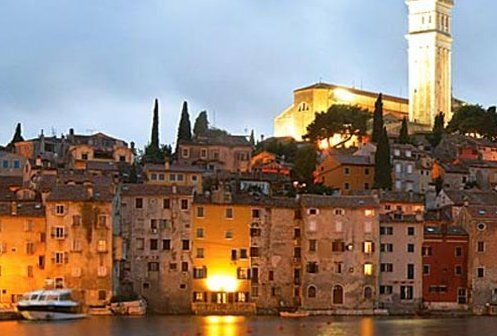 Choose between Croatia villas amid the idyllic countryside of Istria, or spend your holiday in a villa on the pristine shores of Dalmatia in the south of the country. The villas below are all indeed in Croatia, all the villas are listed here - in order of the amount of people they sleep. For those looking for a smaller holiday villa, you'll find these at the top. With the larger holiday villas being further down the page. You can also find villas in France, Italy, Turkey, Spain, Portugal, Egypt, Cyprus, Malta & Gozo, Greece, United States and Morocco.